The International Space Station has been our outpost in space for the last 19 years. But the space station is coming to the end of its lifespan. After the ISS, where will be able to go in space? 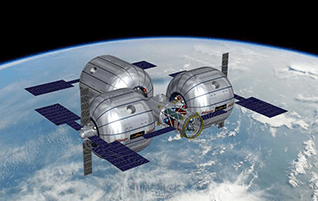 The Space Angels Network looks at the coming commercial space stations that will be flying soon. Have you ever dreamt of living in outer space? Since the development of spaceflight, the off-Earth lifestyle has been limited to the select few aboard the International Space Station. For nearly 19 years, the station has played host to rotating teams of highly-trained international astronauts. The ISS, however, may be nearing the end of its tenure in low-Earth orbit. While the U.S., Russia, Europe, Canada and Japan have all extended their involvement in ISS operations until 2024, the venerable space station may be facing decommission shortly thereafter. This doesn’t mean that we’re abandoning the idea of living in space—in fact, because of they way they are exiting, it signals precisely the opposite. Soon, orbiting living spaces will no longer be the exclusive domain of agency-affiliated astronauts. Like so much in space, habitats are going commercial. By the 2020’s, NASA’s intention is to transition low-Earth orbit to the private sector—in terms of both supply and demand.